As Colorado event planners and designers, we see a lot of wedding couples struggle when it comes to choosing a wedding theme for their big day. Our best advice is to first think about what theme and vibe will represent you as a couple and then begin to gather inspiration anywhere you can. Phone a friend, tear out pages of magazines, create a Pinterest board; all of this will give you a jumping point and will feel less overwhelming in getting started. 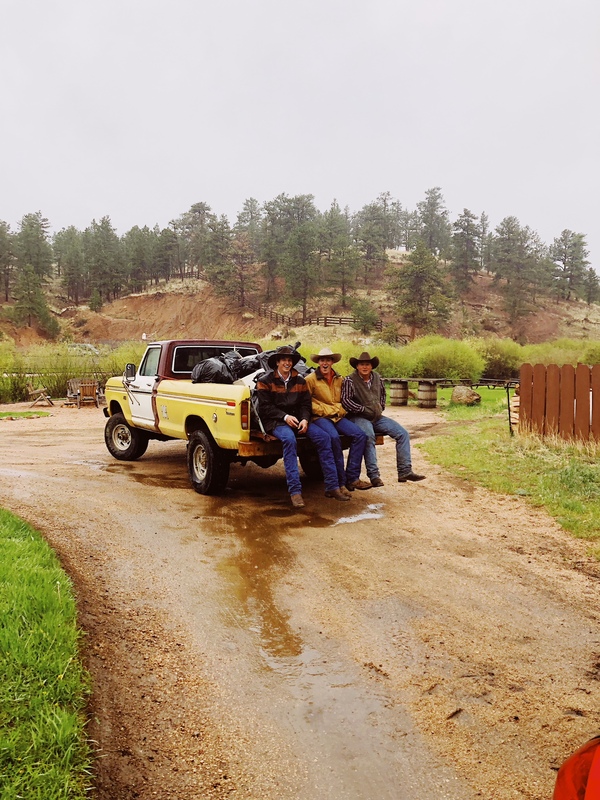 We have noticed that Colorado wedding couples tend to lean towards a more rustic theme. We love this path because this vibe works well with the mountain scenery and goes perfectly with the easy laid back Coloradian lifestyle. We also love how easy it is to personalize your rustic theme so it is unique to you. 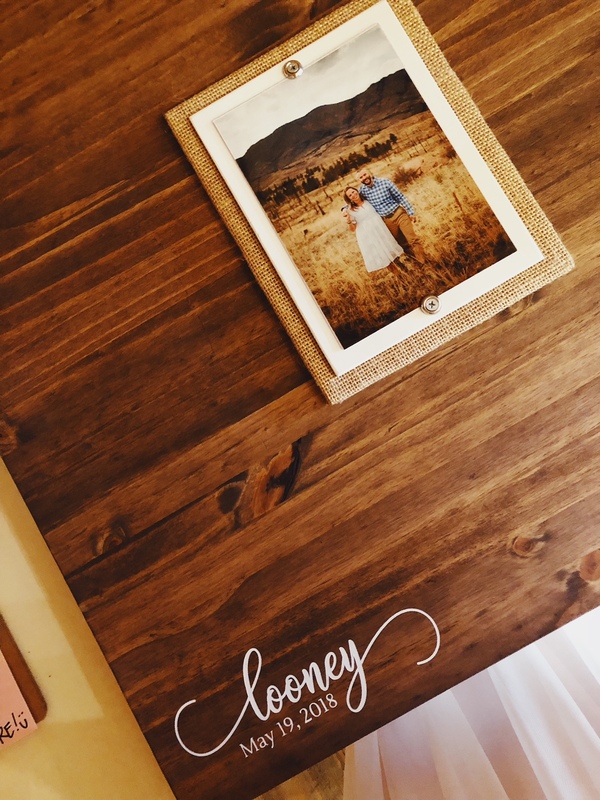 We recently had the pleasure of planning a rustic meets elegant ranch wedding for the sweetest bride and groom and so today we are going to share with you ideas for your big day starting with our wedding branding board. The backdrop for this vision board began with Lost Valley Ranch, which is a super authentico ranch in Sedalia, Colorado. There is an old working barn, hundreds of horses, cows, good-looking cowboys wearing tight wranglers named Clint, green endless pastures, and a bell that rings when breakfast, lunch and dinner is ready. It’s truly so wonderful and so legit. To offset the rustic charm of this ranch we wanted everything else elegant and elevated. 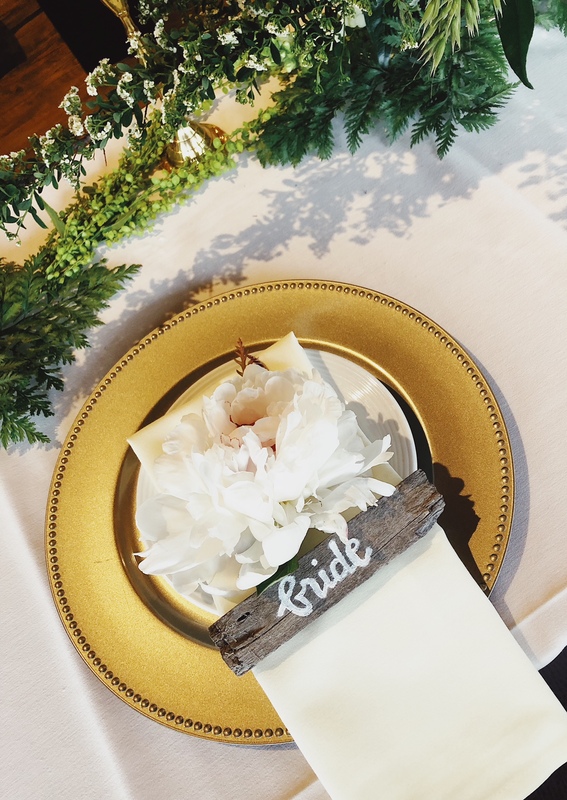 We selected details like delicate lace, mixed in some vintage pieces such as brass candlesticks, and then we’re sure to sprinkle in hints of modern touches throughout. Taking the brides dress into consideration we went with a color palette of blush, ivory, gray and gold. 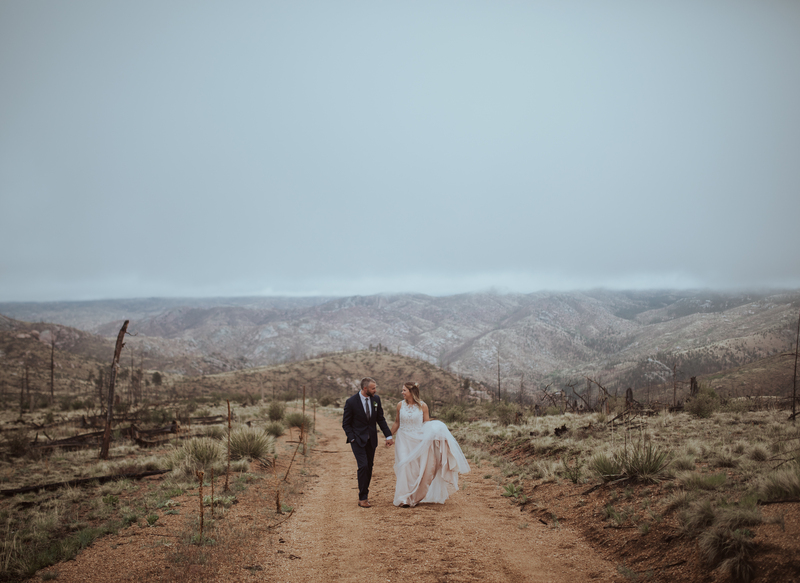 This worked really well with the incredible natural light this valley had to offer, and even though the day brought rain, it was as spectacular and unforgettable as this lovely couple. We also had the pleasure of working alongside the talented Ashlee Kay Photography! 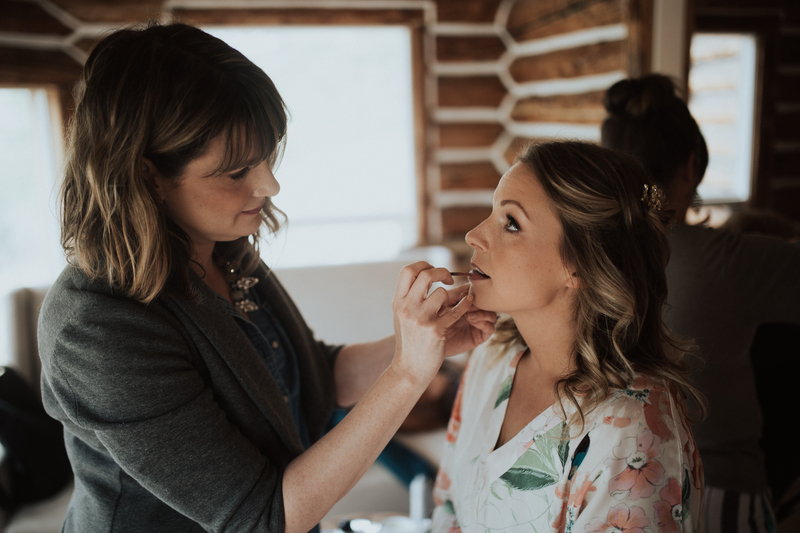 Our event planning expertise and personal touches fused with Ashlee Kay’s photography mad skills and creative eye made for an unstoppable rockstar team. 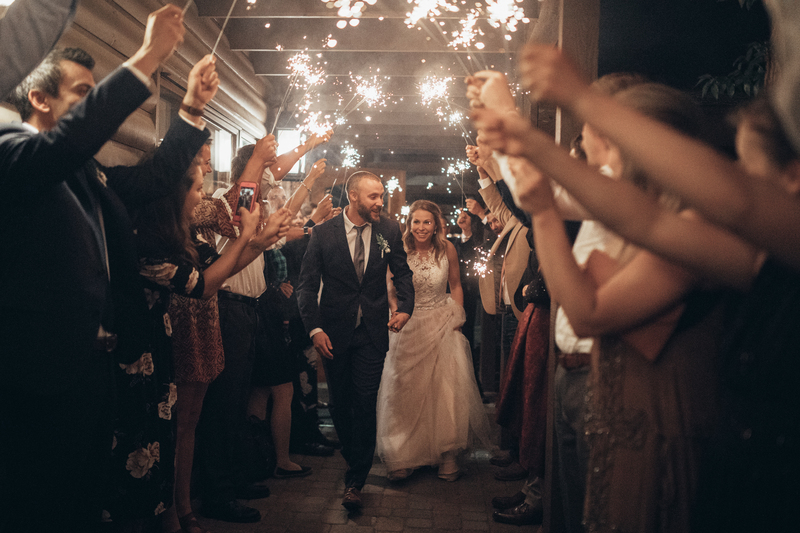 We were so pleased and are still in awe of how everything came together to make one night so magical. If you are on the lookout for a wedding photographer, we highly suggest getting in touch with Ashlee. She will collaborate with you to make sure your photos capture your love story. 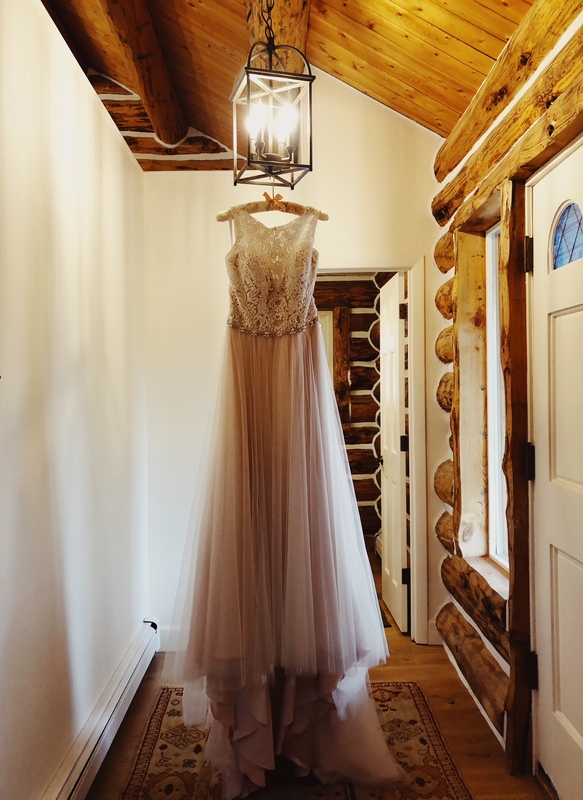 Dresses that feature delicate detail like lace go perfectly with rustic themed weddings. Likewise, gowns that are elegant and flowy will provide balance to the backdrop and offer a timeless look and feel. These details also show up so beautifully in photos. 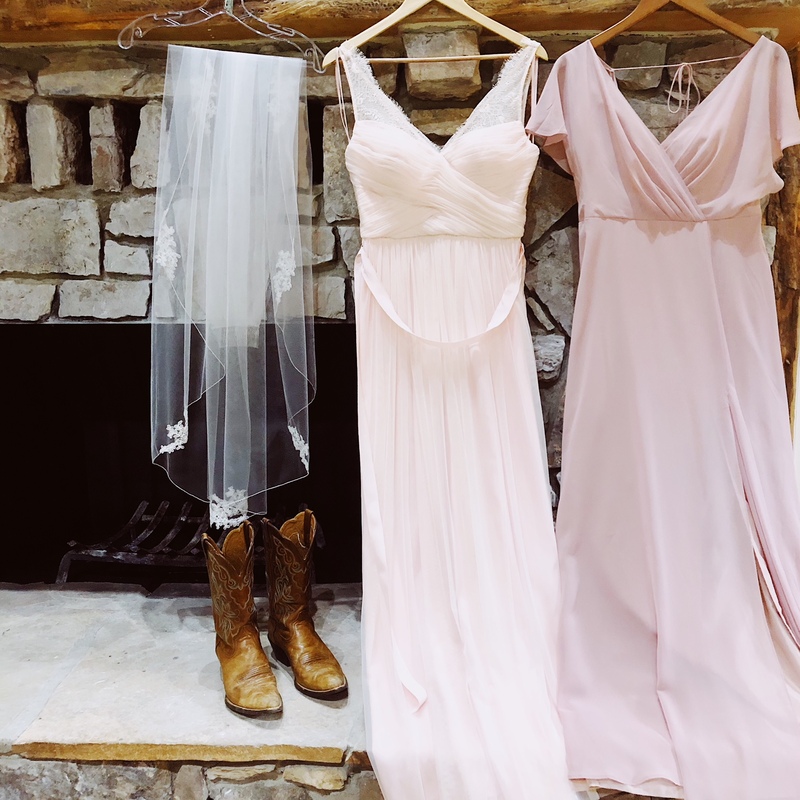 Having a rustic wedding means that you have room to switch things up a bit. Bridesmaid dresses don’t have to be so formal and they most definitely don’t all have to be the same. From different styles to unique floral prints, give your bride tribe options that capture both their unique beauty and the rustic theme you are going for. Rustic chic brides strive for a natural effortless look. From long mermaid hair and beautiful up-dos to soft and clean makeup application. Add some curls and wildflowers to your wedding hairstyle and give your face some dimension with a subtle smokey eye as well as tints of color to highlight your lips and cheekbones. 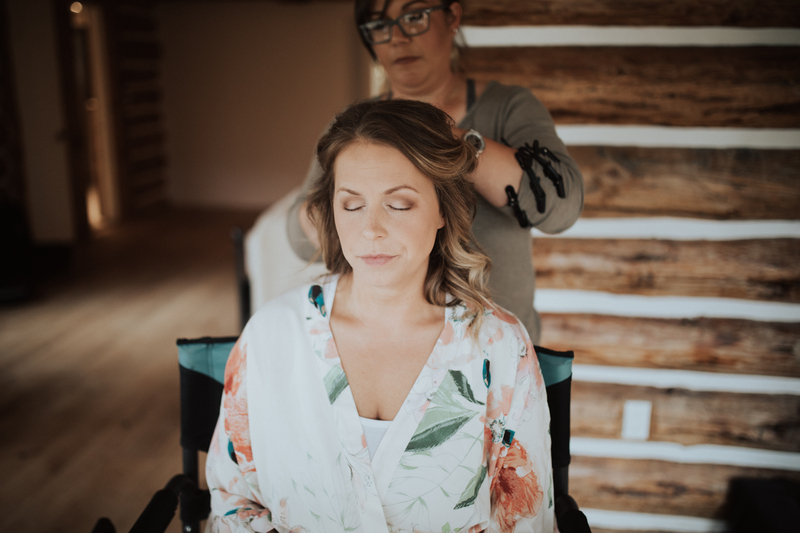 To help you achieve those natural vibes connect with our bride’s on-site makeup artist Nicole Toledo or her hair stylist Erin from Kim J Beauty. They will help you achieve the look you are going for and bride beauty will be stunning and flawless. Rustic weddings give the men options too! From suspenders to detailed pocket squares or ties that coordinate with your wedding’s color scheme. 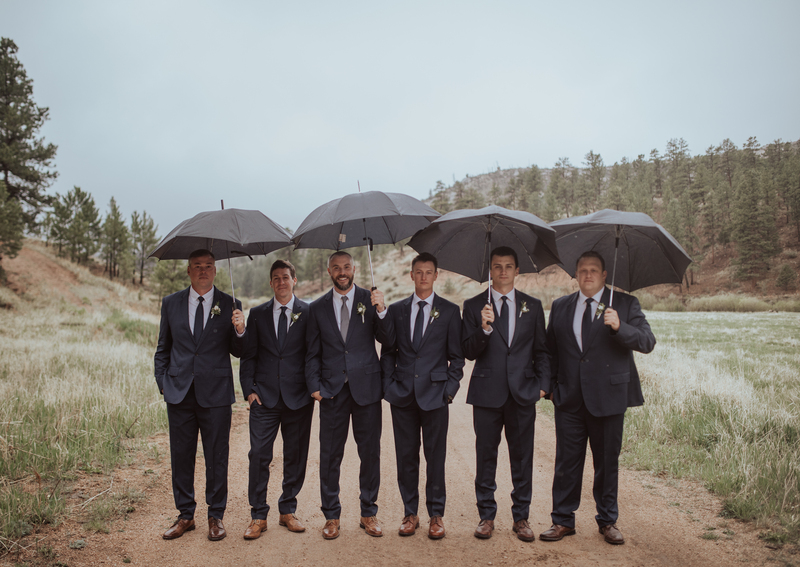 You want to find accessories that capture your theme as well as the personality of the groom and his groomsmen that will be by his side on the most important day of his life. You can get as creative as you want with rustic wedding décor. From hanging white lights to repurposing vintage items. We suggest being on the lookout for some antique looking windows, lanterns, wine barrels, mason jars or anything that holds potential to be rustic décor (if you need any of these items give us a shout because we rent them!). Amplify an item’s original beauty and personalize it to fit your rustic wedding theme. 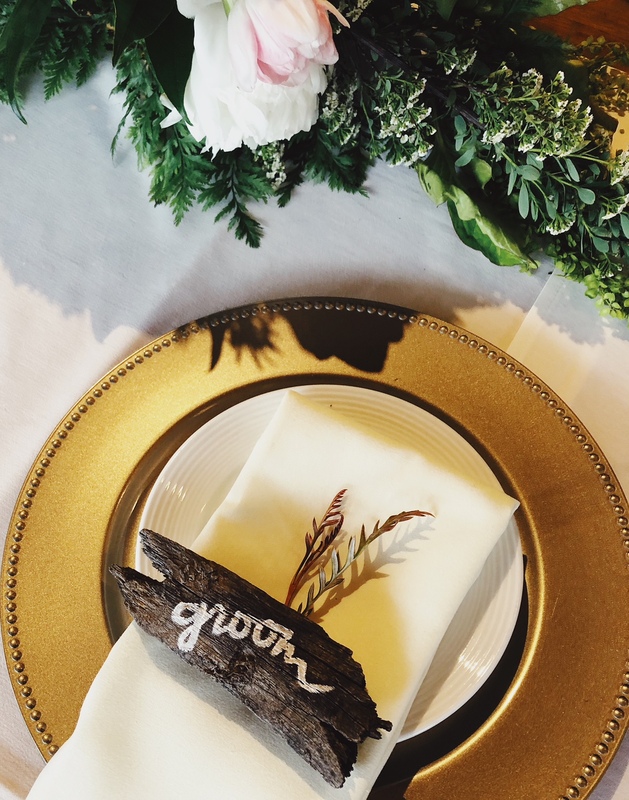 If you need a helping hand with décor and venue details, we recommend getting in touch with calligrapher (and also an incredible photographer) Hanna Lynn Creative who created these lovely driftwood place cards for our tablescape. 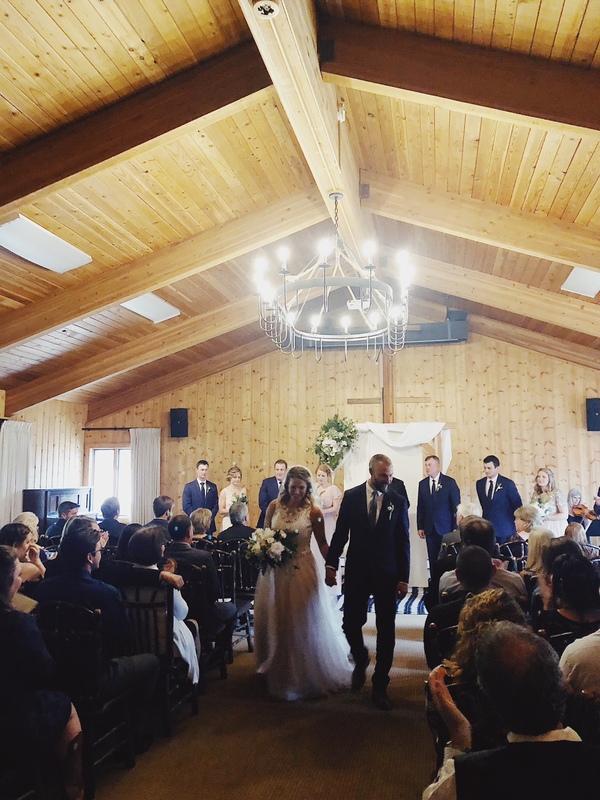 While Lost Valley Ranch does not traditionally do weddings, there are still so many venues around Colorado that offer a similar look and feel. Opting for an aged barn or log cabin in the woods, will serve not only as your venue but also your rustic wedding décor. Not to mention your wedding photographer will love you because you will provide them with so many options for photo locations. From wide open spaces to swoon-worthy mountain backgrounds. With any kind of floral arrangement, you are going to be overwhelmed with options. From enchanting greenery to different types of florals, the combinations are endless. Brides love going the rustic route with florals because they come out looking more humble and beautifully simple. From just using baby’s breath to using a variety of succulents and colorful western florals. 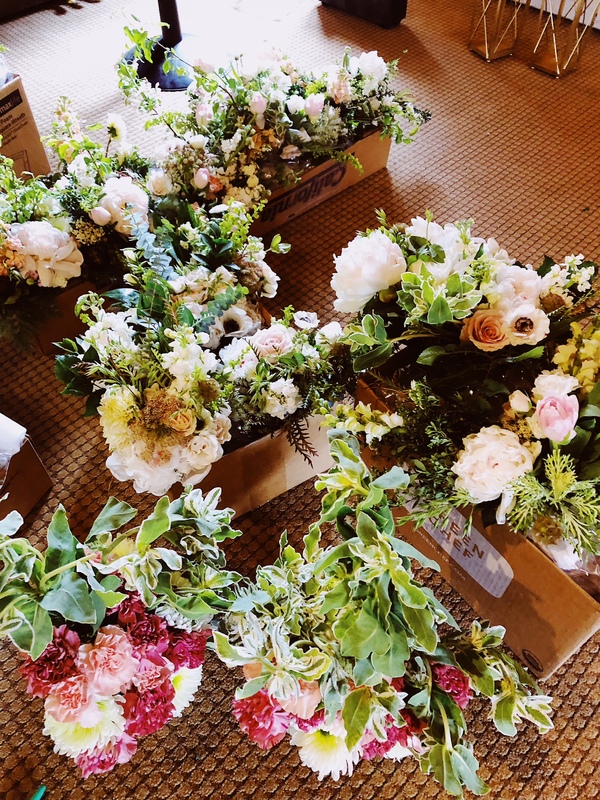 If you need help with florals, talk to our friends at Petal and Flour who served as the Floral Designers for this wedding. 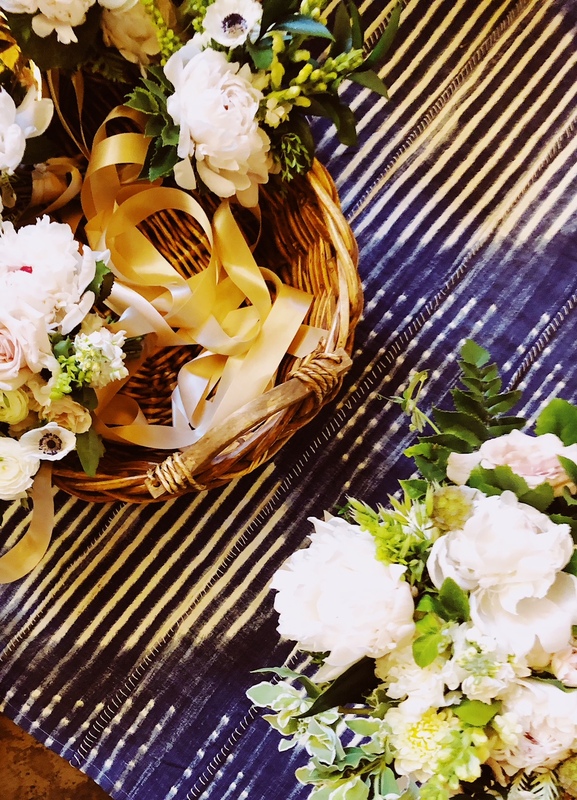 They are located in Salida, CO and would love to help you create your dream florals for your big day. 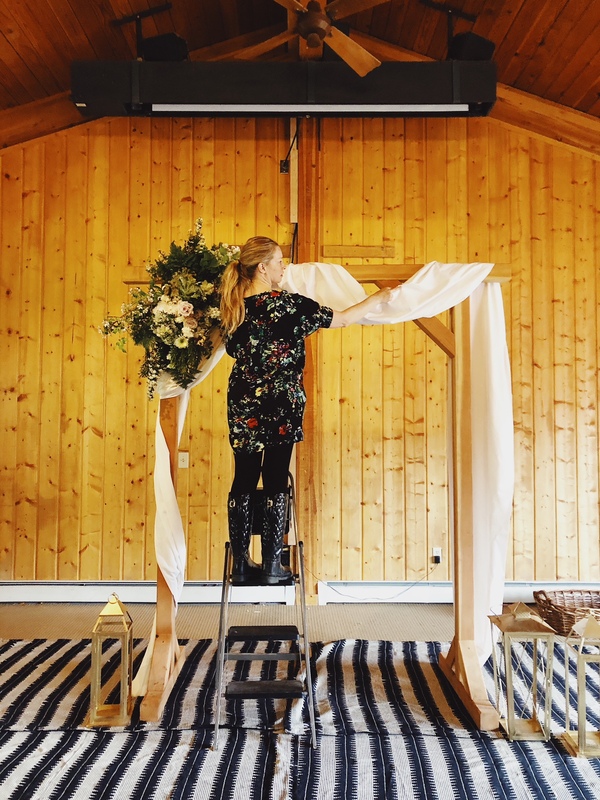 Angela and her team went above and beyond helping create the stunning centerpieces, garland, cake blooms and ceremony arch featured in these photos. Her work will make you weak in the knees and her professionalism will have you asking for an encore. If you are also a fan of adding floral touches to your wedding cake design, have your florist collaborate with your baker. Together they will make an amazing team that will make your cake or other delicious pastries look absolutely stunning. People will hesitate to eat your tasty wedding treats because they will look too gorgeous! (which is a good thing!) 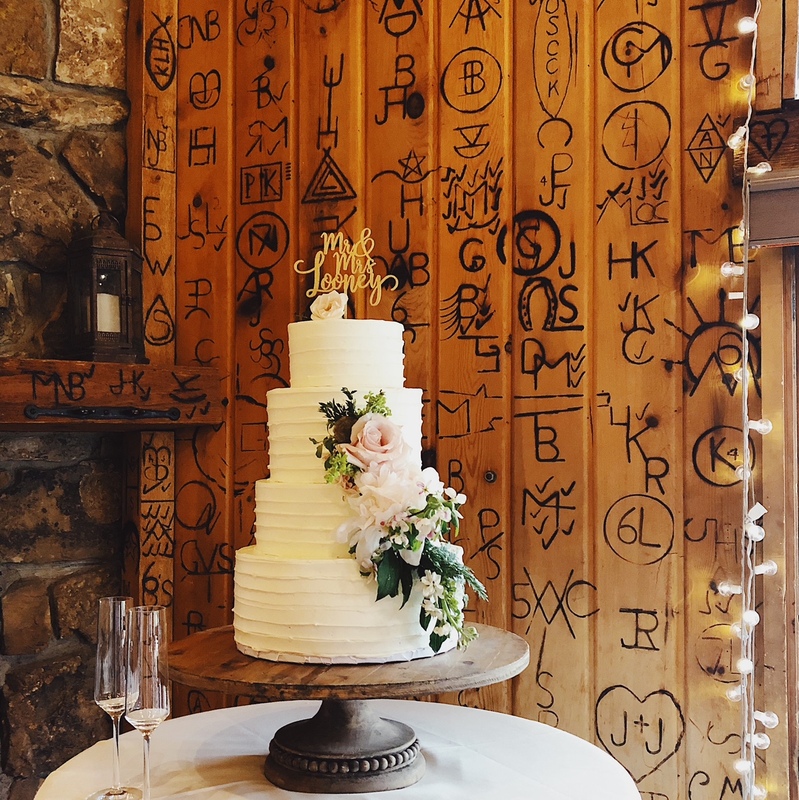 If you are in need of a wedding cake designer connect with our bride’s talented baker Jenny Denman at Snowberry Bakehouse located in Colorado Springs, CO. She will whip up a beautiful dessert that will make you swoon and your mouth water. Taking the time to add in some extra details will make your wedding day truly unique. 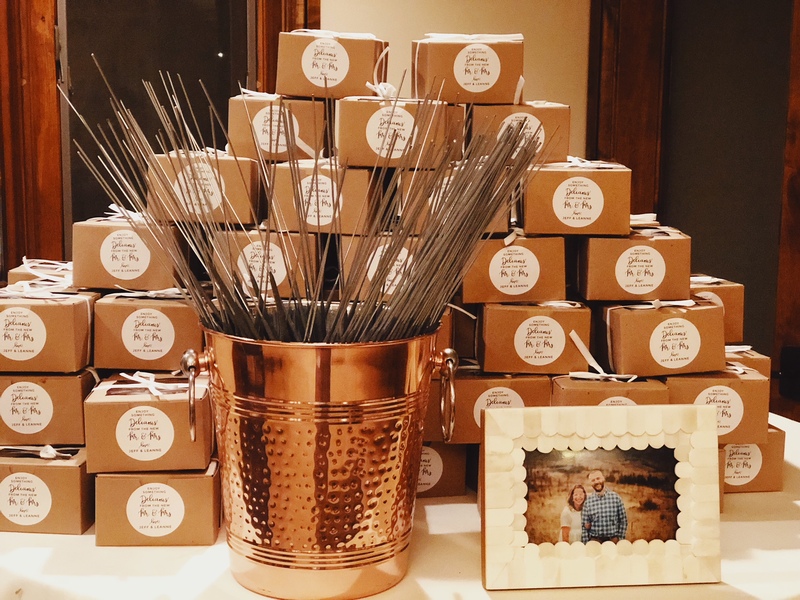 From your party favors to reception entrance items. Choose designs and items that will best represent your rustic wedding and who you are as a couple. We know you have a lot on your plate already, but sometimes it is the small things that make a huge difference. 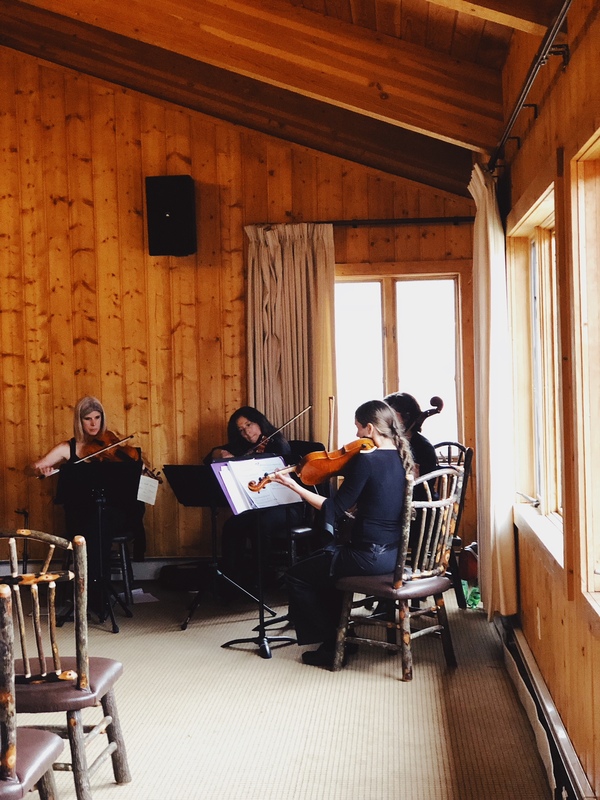 There is something about a string quartet that just takes your ceremony next level. We were so excited when our clients wanted to roll live music into their nuptials. We enlisted Coletrain Music Academy in Buena Vista to help us secure the best musicians for our client’s needs and budget. 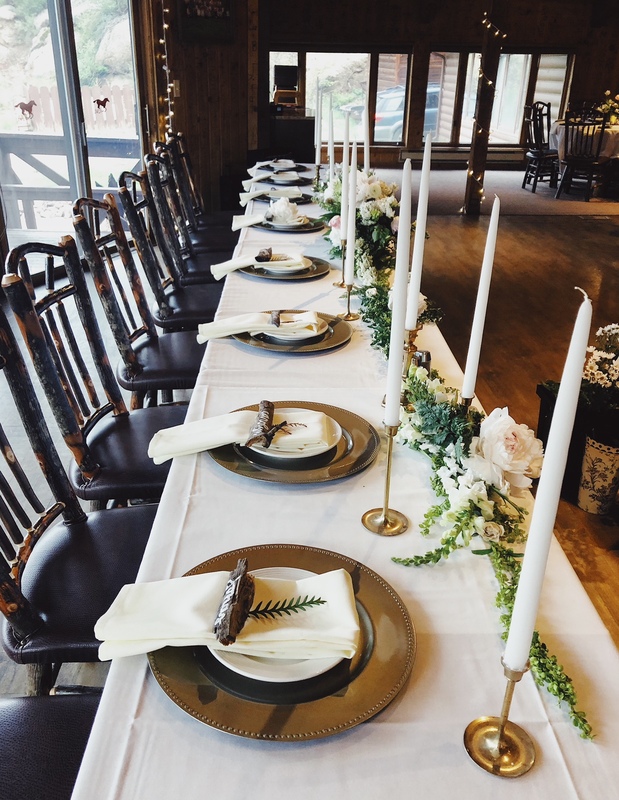 We hope this post and wedding planning tips will give you some inspiration for your rustic wedding goals! 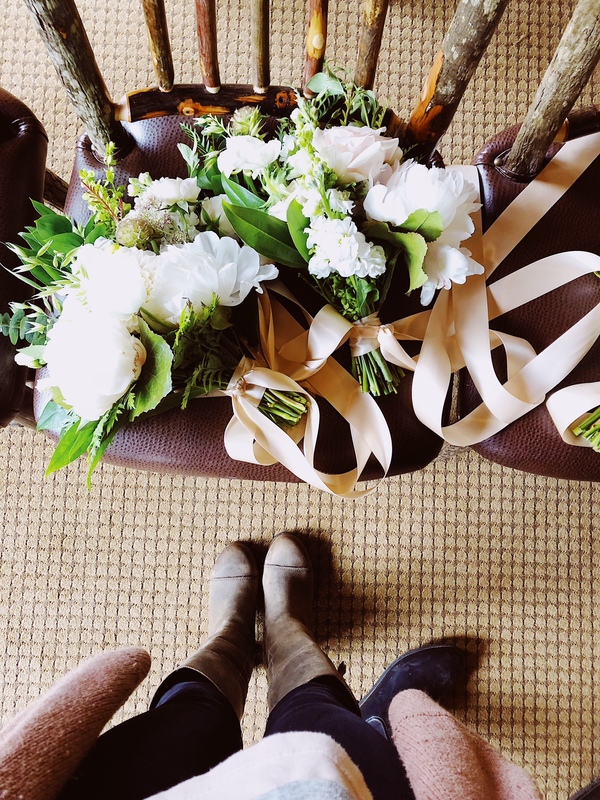 Are you a bride who had a rustic wedding or attended any in the past? If so we’d love to know what were some of your favorite rustic themed finds? Our 10 Favorite New Wedding Discoveries!